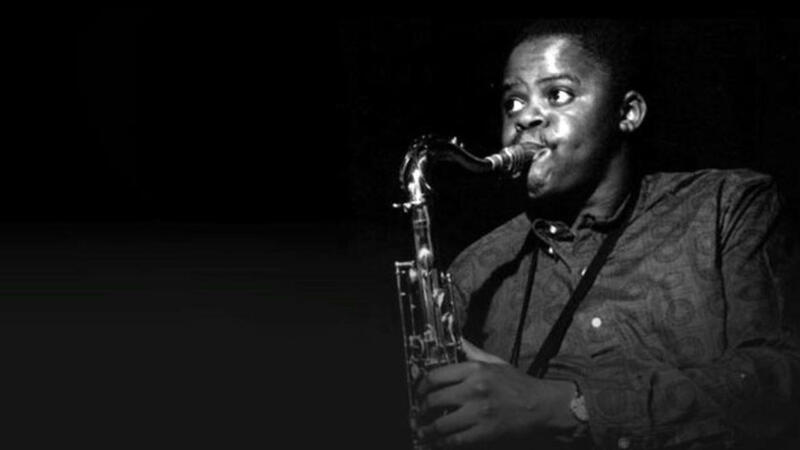 More Stanley Turrentine! 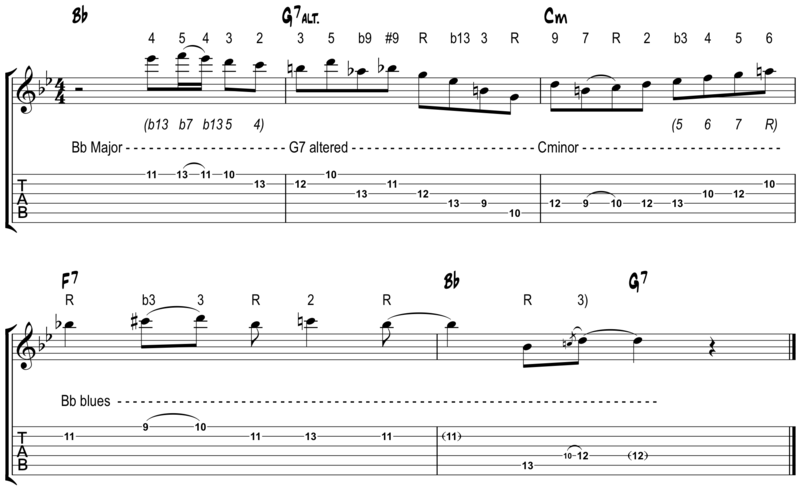 The G7 altered part of this lick does not sit quite so obviously on the guitar but with a little doing it can start to make sense. Generally speaking, it's pretty clear what Turrentine is thinking over each chord, but in some spots, there's a bit of overlap as to what that could be. I've put the most literal possibility above the notation: here's what the notes we're playing are, relative to exactly what the harmony is at the moment. Beneath the notation, in italics, I've put what the notes could be, considering where we're going or where we've been. So in the first measure of the lick, yeah, that's Bb major stuff, but it could be G7 altered stuff, anticipating the change to G7 by a couple of beats. In the third measure of the lick, over the C minor, those last four notes of the measure are still C minor stuff but they could be an anticipation of the Bb chord we're about to resolve to, and so be heard as a Bb-sounding pickup into the next bar.